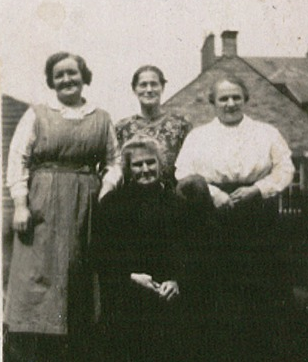 With great thanks to Robbie for sending over masses of genealogy regarding our maternal family line. Robbie is a descendant of my second great grand aunt Margaret Walker. Many thanks for all his hard work in researching these branches of our family, but also for offering to do research in Italy for me when he was away there on holiday in 2010. This page I dedicate to your line. 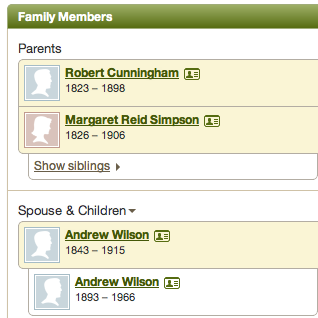 Margaret married Robert Reid and they had a large family all born in beautiful Ayrshire. 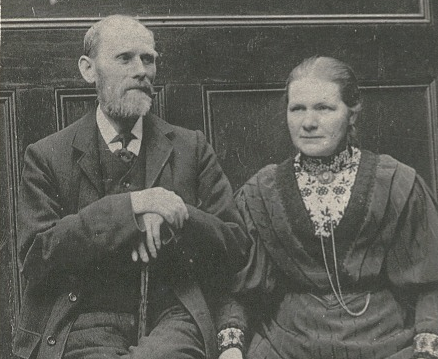 The family of Margaret Walker and Robert Reid. Maragaret was born on 5th December 1826 in Irvine in Ayrshire. 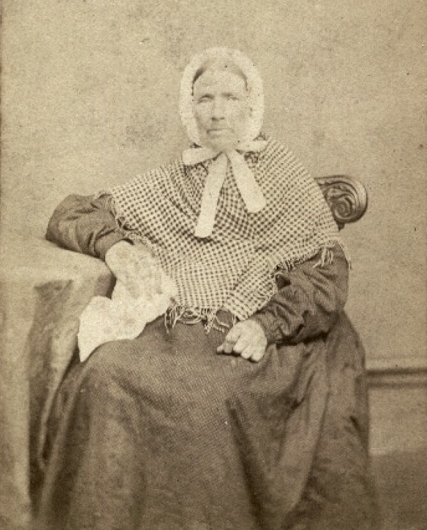 Margaret was the second eldest in a family of ten children. 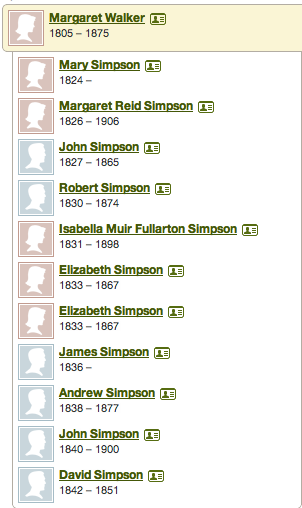 She married in Riccarton in Ayrshire on 8th February 1851. The following passage will let you see how life was in Riccarton at this period in our history. 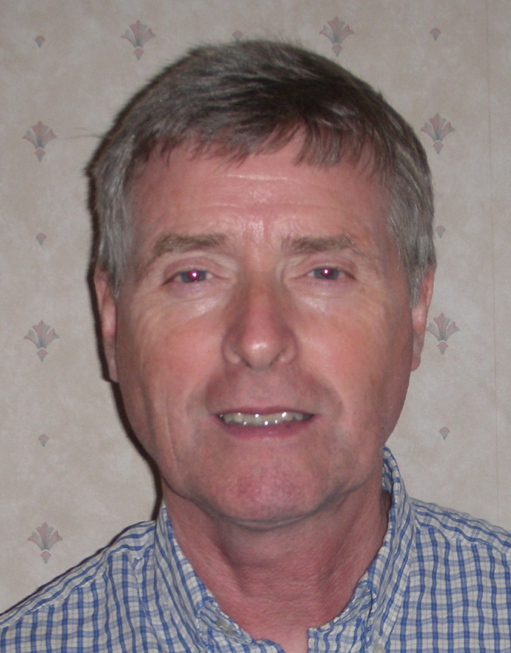 The ecclesiastical affairs are under the superintendence of the presbytery of Ayr and synod of Glasgow and Ayr. The minister’s stipend is £241. 3. 9., with a manse, and a glebe valued at £50 per annum; patron, John Smith Cuninghame, of Caprington, Esq. The church, built in 1823, to replace the ancient church, of which the burial-ground is still preserved, is situated in the centre of the village of Riccarton, on a lofty mound said to have been the seat for administering justice. It is a substantial and neat structure with a handsome spire, erected at a cost of £4000, and contains 1200 sittings, most of which are free, or let at a nominal rent. From its elevated situation, the church forms a very conspicuous and interesting feature in the landscape. The parochial school affords instruction to about 120 children; the master has a salary of £34. 4. 4., with a house and garden, and the fees average £50 annually. There is also a school at Hurlford, of which the master has a house and garden, in addition to his fees; the house was built by subscription, on a site given by the Duke of Portland. A parochial library, containing about 500 volumes of historical, biographical, and religious works, is supported by subscription; and there are several friendly societies. Among the distinguished persons formerly connected with this place are several of the Cuninghame family. John Cuninghame, of Caprington, created a baronet by Charles II., and a lawyer of great eminence, was employed as counsel for his country, against the Duke of Lauderdale; and as a man of profound learning and incorruptible integrity, honourable mention is made of him by Bishop Burnet in his History of his own Times. Mr. John Cuninghame, second son of Sir John, who was the first that delivered lectures on the Roman law in Scotland, and who died in 1710; and Sir James Shaw, Bart., the first Scotsman that ever filled the office of lord mayor of London, and who died in 1843, were natives of the parish. The above confirms hat the area was rich in coal, limestone, clay and sandstone. Many men, women and children worked in this community and the days would have been long and hard. 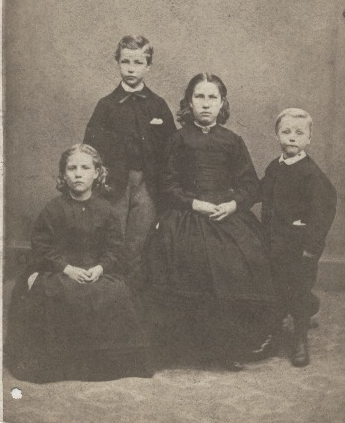 Robbie's family In this photo are the youngest children of Robert Cunningham and Margaret Reid Simpson. Left to right Isabella (Bella) Robert, Agnes and John.